Gmail has been very good at detecting Spam and keeping those types of messages out of your Inbox. However, even Gmail admits sometimes the detection is not always accurate. We all have had to go diggining into our Spam folder to find an email we need. So today, Gmail has introduced Postmaster Tools. 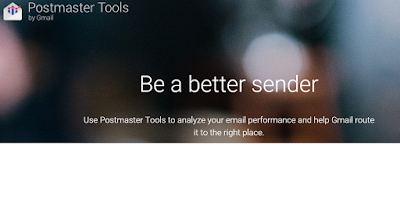 This new tool will help those that send lots of emails to many recipients keep those messages out of the Spam folder. Hopefully one day, Gmail can provide a Spam free experience, but until then, these types of improvements I am sure will make you all happier. Thanks for sharing an nice informative about the spam filter service and their process with us in an simple manner.